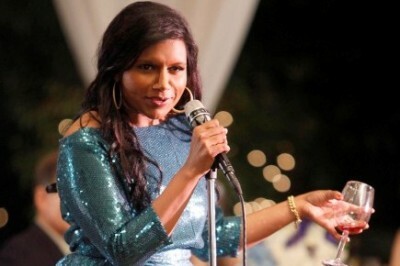 Mindy Project: FOX orders more episodes; Why? FOX has ordered two more episodes of The Mindy Project. The move is reportedly a show of confidence in the freshman sitcom that was pre-empted by this week’s debate, and will be pre-empted next week (to make way for a special rebroadcast of Wednesday’s X Factor) and then for election coverage on November 6th. FOX previously gave The Mindy Project a full season order so this brings the first season tally to 24 episodes. These days, most shows don’t get that many episodes unless they’re a big hit, like Modern Family or NCIS. The Mindy Project certainly isn’t a hit. The show debuted on September 25th to a 2.4 demo rating and 4.67 million viewers. In week two, it fell 21% to a 1.9 rating with 3.68 million. Week three’s demo held steady while viewership dropped 4%. These certainly aren’t impressive numbers. But, while Mindy isn’t a hit, FOX has other sitcoms that are performing significantly worse — Ben and Kate and Raising Hope. These additional Mindy episodes may have less to do with their confidence in Mindy and more to do with their lack of confidence in other shows. Either way, fans of The Mindy Project get a larger-than-usual season. That’s not any guarantee however that the sitcom will be back for a second season. What do you think? Do you like The Mindy Project? Glad to hear FOX has ordered even more episodes? Why do you think they’ve ordered 24 installments? I really like Raising Hope, but I have already stopped watching The Mindy Project and Ben and Kate. I love this show!!!!! I love Mindy Kaling and I love the supporting cast. I like the Mindy Project I think its got great potential. Don’t get rid of mindy or Ben and Kate!! Though I don’t watch the, when they air, I like watching in bed the next evening or on the iPad when I’m working out. Haven’t tried the show, had no desire to…looked more annoying than entertaining. No surprise about Ben and Kate, who wants to watch that jagged-teeth mess of a man? But the Raising Hope news makes me concerned.